If you have allergy problems or are especially sensitive to dust and insects, this Premium Pillow Protector should be in your dorm survival kit. 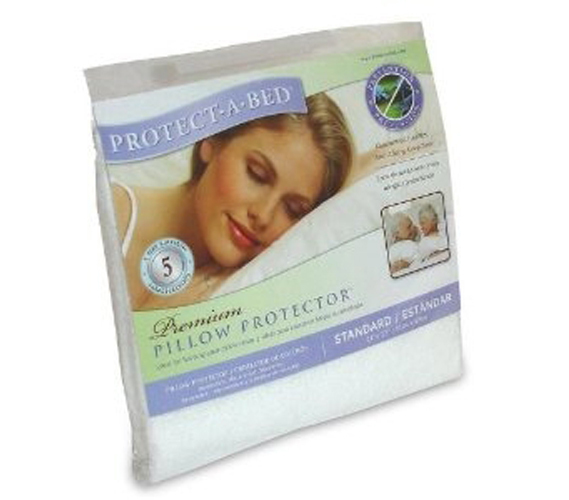 The Premium Pillow Protector is a useful dorm bedding essential that you'll come to appreciate. Without the Premium Pillow Protector, your pillow, and you, remain susceptible to dust, mites, and other allergens. The Premium Pillow Protector is made to fit dorm pillows perfectly and is a college dorm must have. Your dorm bed pillow will stay fresh and clean and free from irritating substances that might disturb your sleep. The Premium Pillow Protector is a great college bedding product for every college student living in dorms.